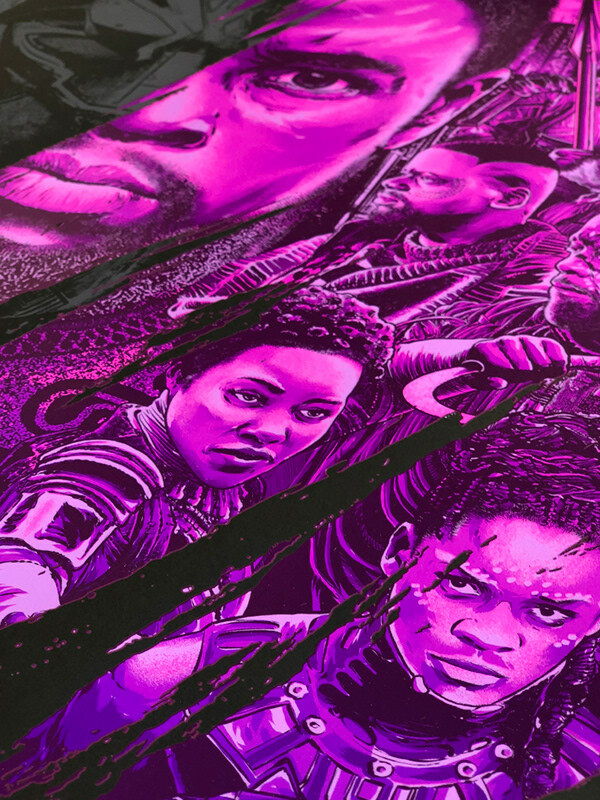 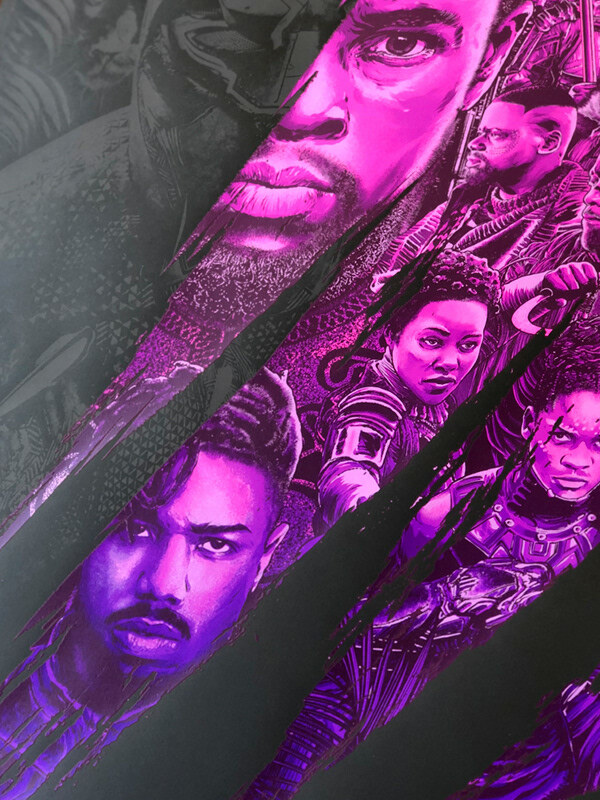 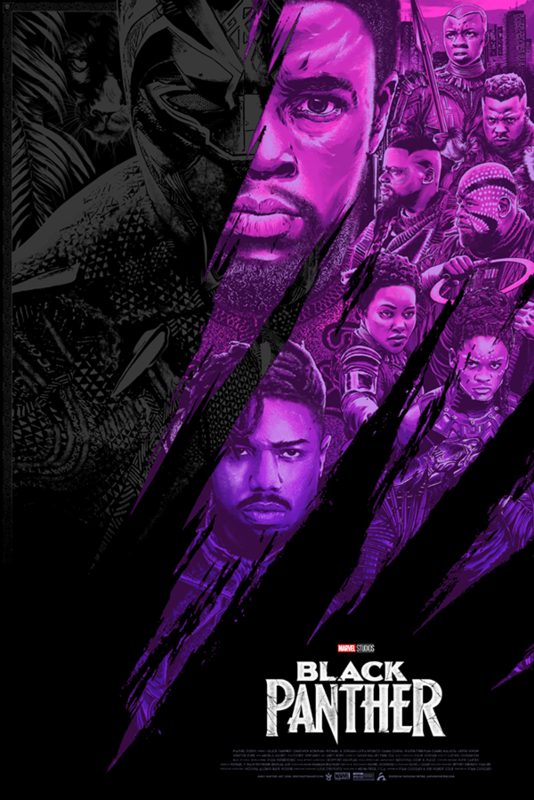 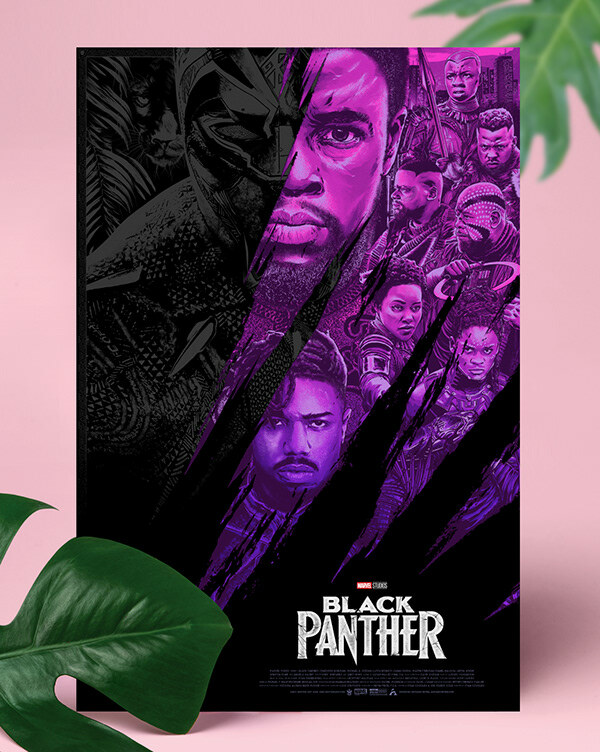 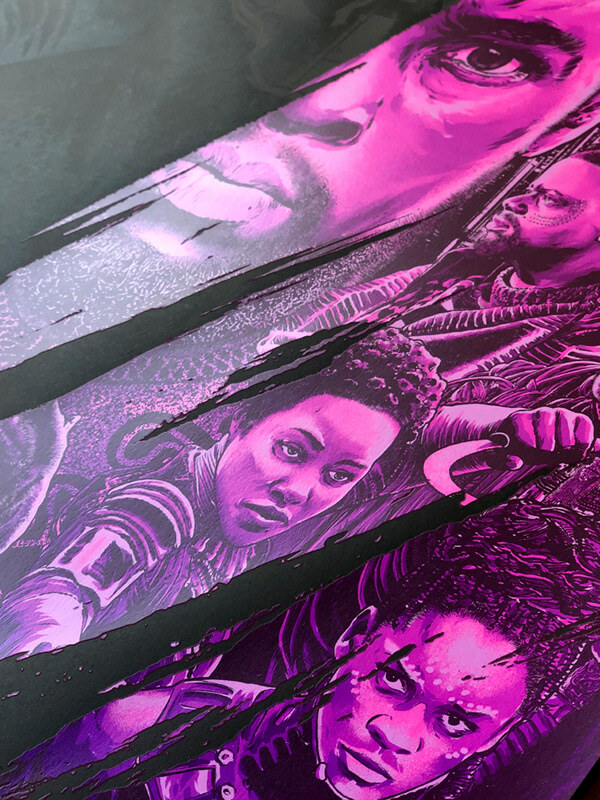 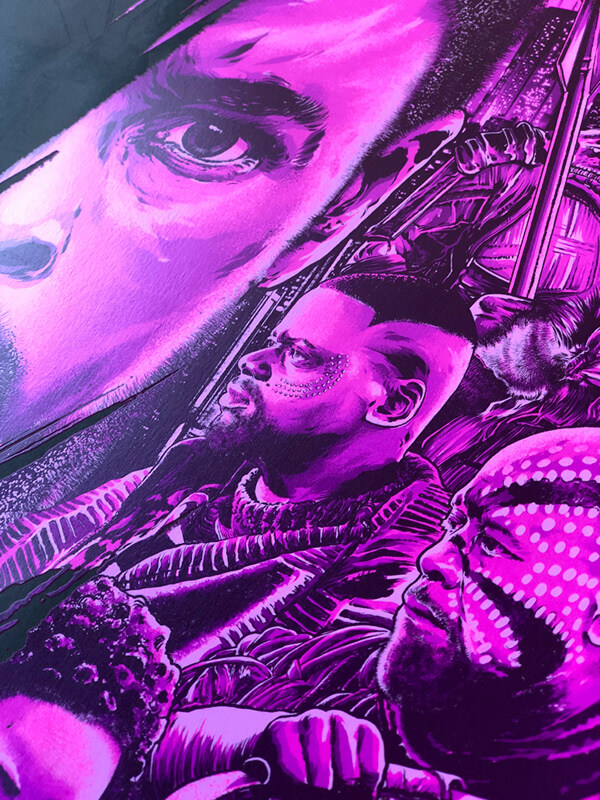 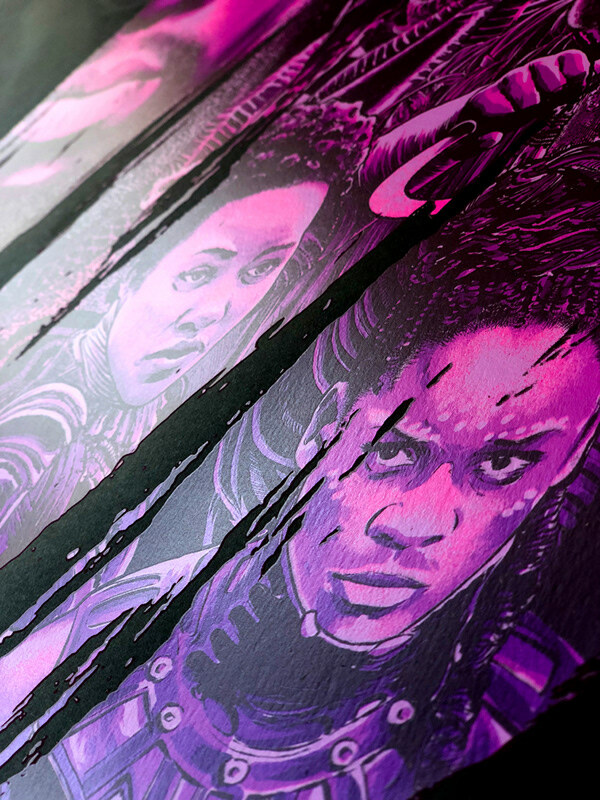 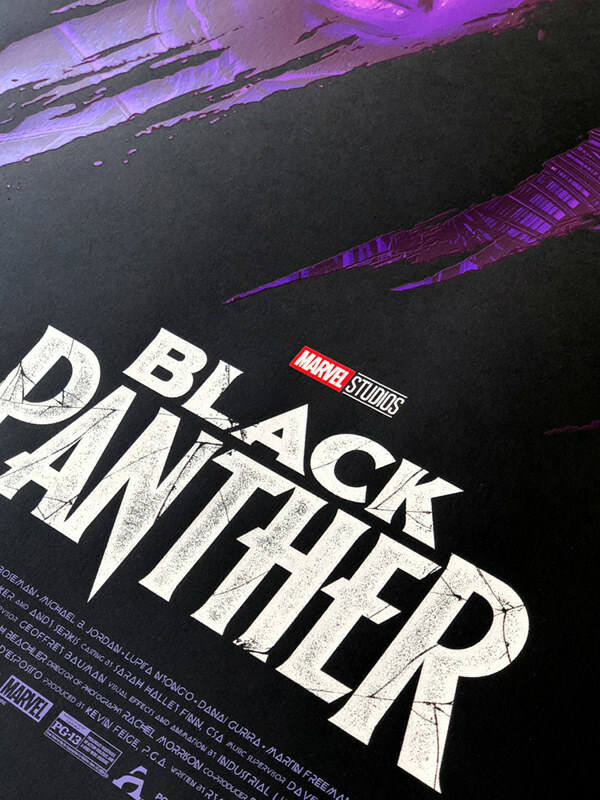 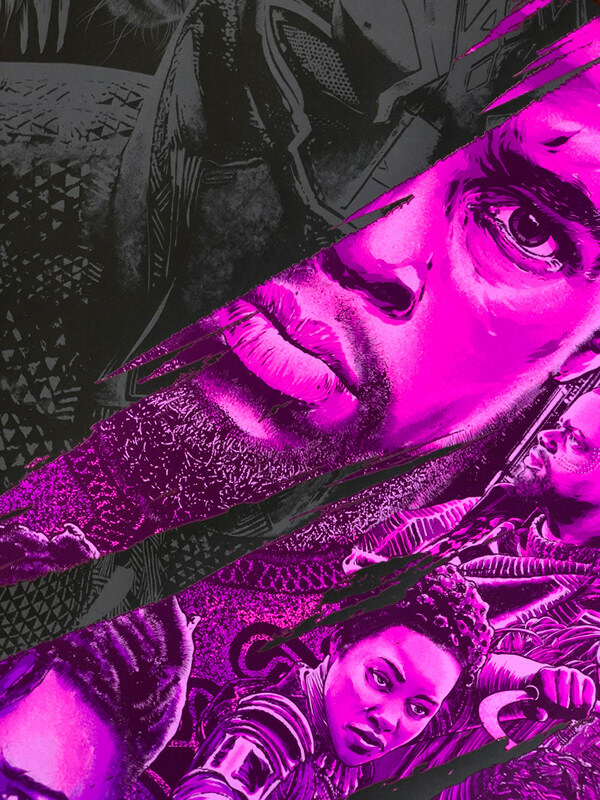 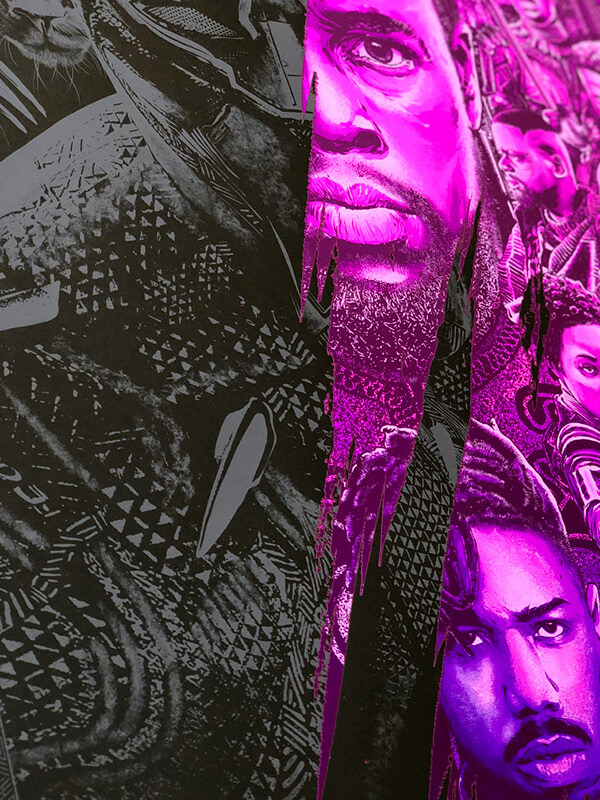 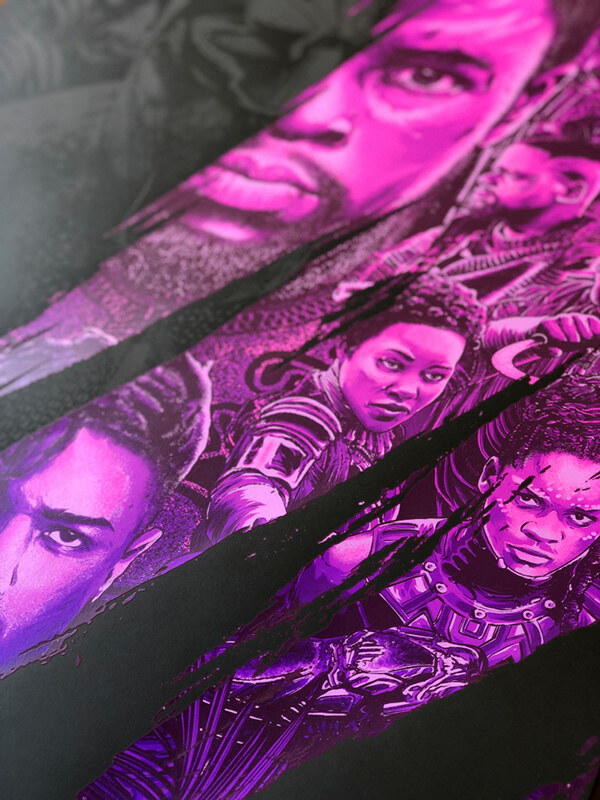 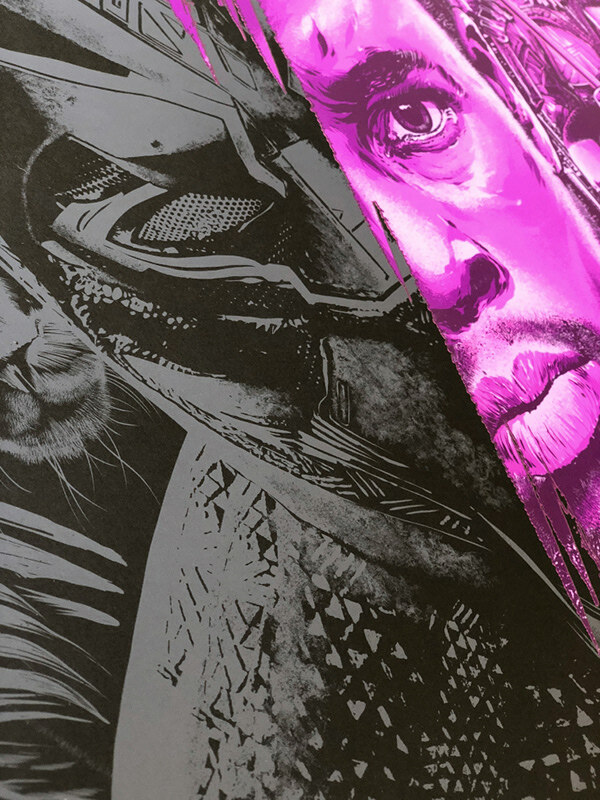 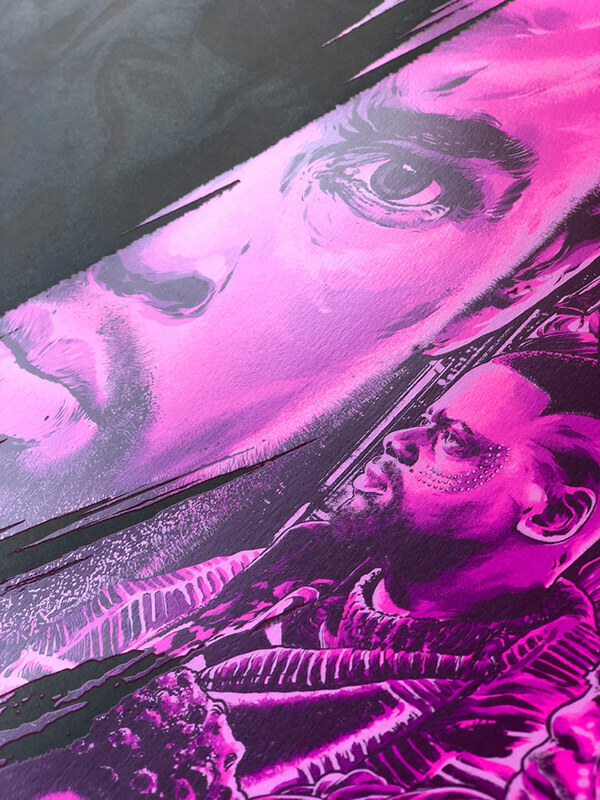 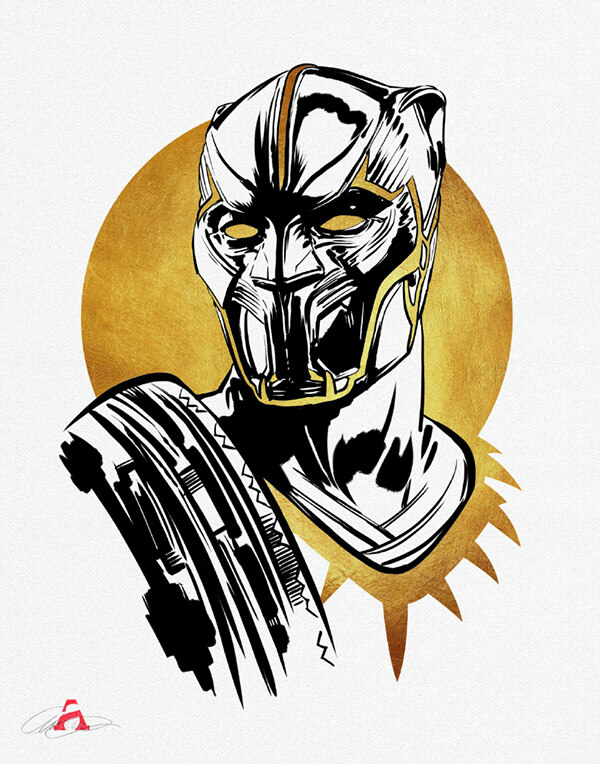 I had the privilege of working once again with my friends at Grey Matter Art on an officially licensed Marvel Black Panther screen-print. 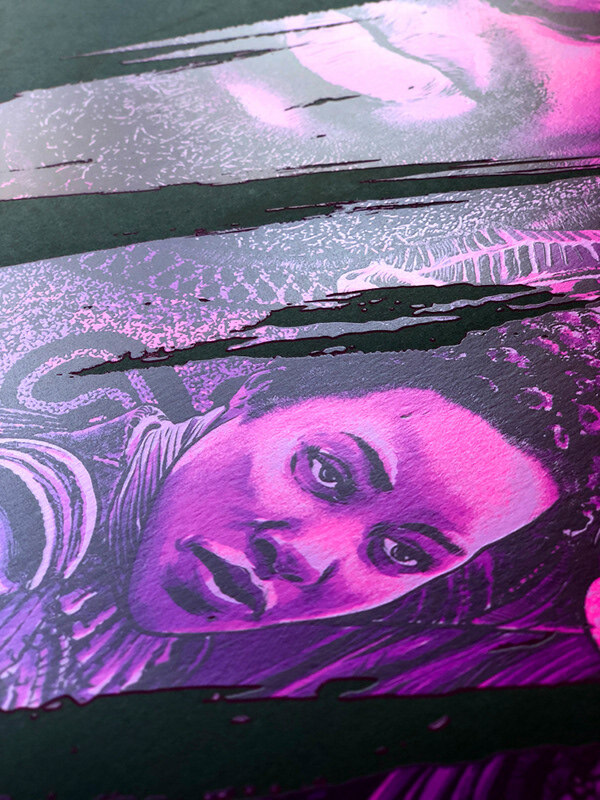 Ten colors, with split-fountain and gloss overlay on black paper, masterfully printed by the folks at DL Screenprinting (check out the rise on that ink!). 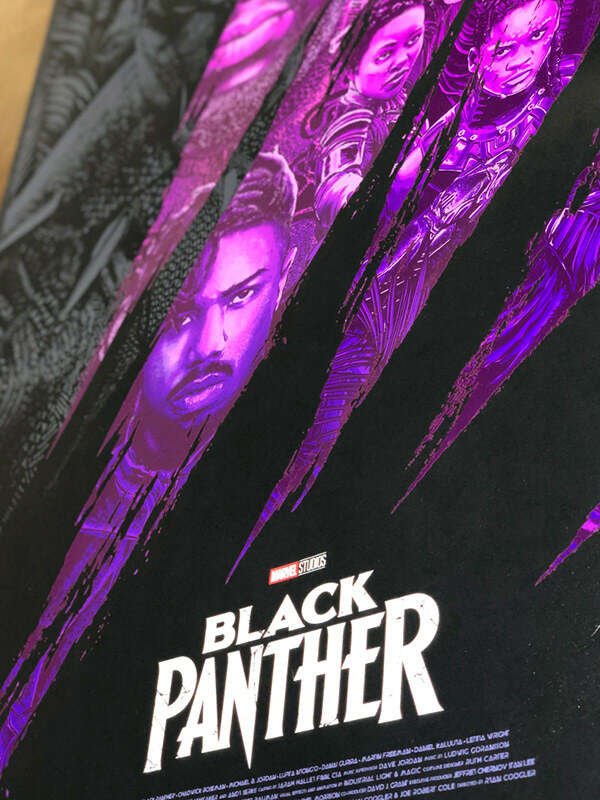 My first in a series of MCU posters with Grey Matter Art, is available for purchase now!